Governor Ben Ayade of Cross River on Thursday broke Nigeria's state budget record by presenting a whooping sum of N1.3 trillion for the 2018 fiscal year to the Cross River House of Assembly for deliberation and passage. The News Agency of Nigeria reported that the budget is the largest for a single state in Nigeria’s history. 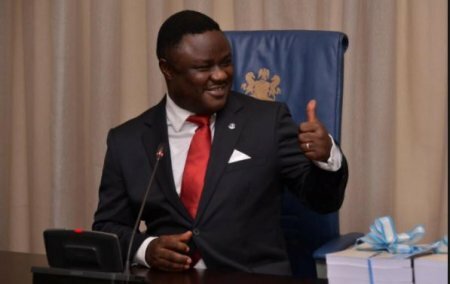 Govenor Ayade, who tagged the budget as “Budget of Kinetic Crystallisation’’, said it was meant to “crystallise” what the state had achieved in the past two years of his administration. - N126 billion was budgeted for the Ministry of Infrastructure. This is to help us develop critical assets in the state. - N7 billion was also budgeted for the state job centre with a view to helping us train our unemployed youths with marketable job skills. - N52 billion for social welfare to care for the aged.